Why choose Paramount Health Services, LLC. for your Physical Therapy needs? It is our goal to make sure you feel your best and stay that way. You can count on our many years of experience, our highly trained team of wellness professionals, and exquisite professional service. We believe in a holistic approach in which we treat the whole body rather than focusing solely on the injured area. Passionate, specialized staff to assist you in your every need. Same Day Appointments. Saturday Appointments. Late Hours. 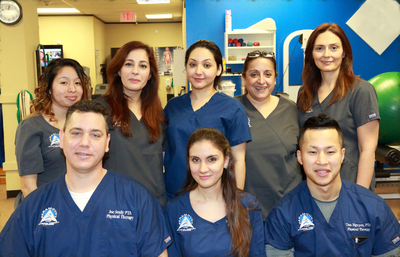 We speak: English, Spanish, Persian, Armenian, Hindi, Arabic, Farsi & Turkish. Would you like to learn more about us and our services? Dr. Mahdavi has a love for orthopedics and a passion for helping people reach their goals of recovery. Shereen is passionate about helping her patients reach their maximum potential and goals for recovery. She grew up playing soccer, softball, volleyball and dancing which sparked her appreciation for physical therapy. Shereen enjoys visiting with friends and family, participating cycling classes and taking her dog, Dora, to the dog park. Dr. Sam believes that physical therapy is not just rehabbing injuries, but learning movements for preventative care to achieve optimum health and an active lifestyle. She is passionate about all sports and loves to exercise. She grew up participating in volleyball, basketball, soccer, and weight lifting. She received a scholarship for TAMUK’s Women’s Track and Field Team where she received All – American honors in the high jump. In her free time, she enjoys going to the gym, being active, and visiting with family and friends. Mr. Sealy enjoys being through playing sports and other recreational and competitive activities such as CrossFit. After undergoing an orthopedic surgery for rotator cuff, Joe was able to see first-hand how physical therapy can heal and quickly became interested in the process of healing through physical therapy. Soon after a full recovery from shoulder surgery, he enrolled into Houston Community College’s Physical Therapy Assistant program. He believes many injuries appear to have similar characteristics but each one in unique to the individual. Ultimately, Joe is an advocate for treating the problem, not just the symptoms, by using evidence based interventions. It is with these tools that he has been able to restore our patients to their highest level of functioning. Amber Fusselman believes in challenging limitations and a hands on approach to optimize the best outcome for each individual. Amber has a passion for helping others which she has demonstrated through best outcome for each individual. Amber has a passion for helping others which she has demonstrated her participation of the MS 150 for 6 years, volunteering with various organizations such as the Special Olympic Texas, and volunteering abroad in the Dominican Republic. Amber is committed to improving the human condition of the public by never ceasing to be passionate, empathetic, and knowledge-seeking in her career. 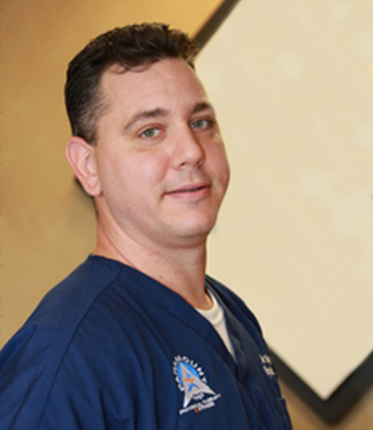 Santo has a passion for improving the quality of life for his patients through manual therapy and physical exercises. He strives to provide a fun and energetic therapeutic experience and believes that a positive environment is a pivotal component to recovery. Outside of work Santo enjoys traveling and spending time with family and friends. 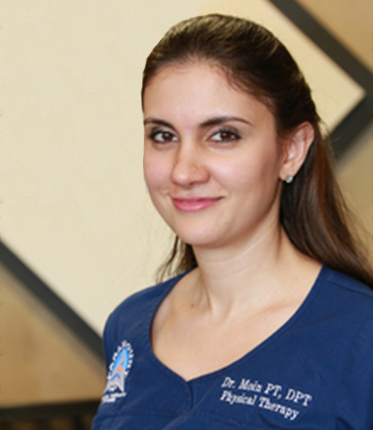 Haygon has a passion for improving the quality of life for her patients through manual therapy and physical exercises. She strives to provide a fun and energetic therapeutic experience and believes that a positive environment is a pivotal component to recovery. Outside of work Haygon enjoys spending time with family and friends. Dr. Moin played a critical role in developing our way of taking care of patients. Although our life paths have separated us and she has moved to California with her hausband, Kayvan and their son Daniel, she is still part of Paramount family and she will always be missed and her legacy of care and compassion will always be present. The Paramount family wish her all the best in years to come. Dr. Moin passionately believes that her role in patient care is to remove any obstacle and help accelerate the body’s ability to heal, through physical therapy. Shireen has become a mother, which has increased her empathetic and patient nature while allowing her to pay more attention to detail. As an avid exerciser she is firm believer in maintaining an active lifestyle and incorporation exercise into daily activities. With a background in nutrition, Shireen strives to look at the whole picture with each patient by combining nutrition, mental and physical wellness. 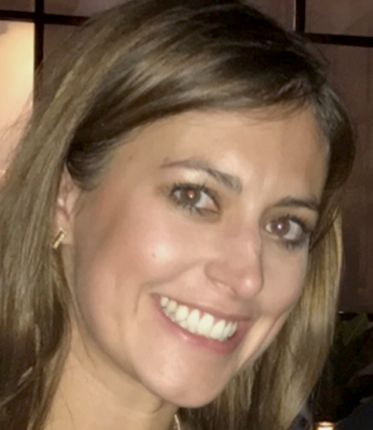 Her primary goal for all patients is to design a progressive treatment that ultimately guides the patients to reach their optimal level of function and improve their overall quality of life. From left top to right: Maria, Shery, Jasmine, Roshee, Bita. From left bottom to right: Joe, Dr. Moin, Tan.